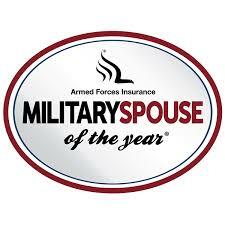 Two inspiring MSJDN members are among the newly announced nominees for the 2019 Armed Forces Insurance Military Spouse of the Year. Join us in congratulating Harriet O’Neal and Crystal Cornwall on their nominations which highlight their professional accomplishments and service to their communities. The first round of voting lasts only until February 12th, so don’t wait to cast your vote for a MSJDNer! 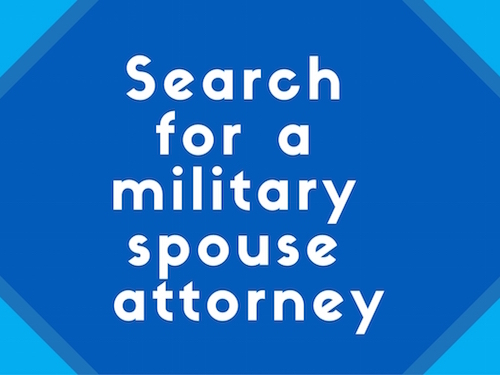 Harriet O’Neal: Harriet is an Army spouse who made headlines last year when she appealed her denial of admission under a military spouse attorney policy to the Georgia Supreme Court. She successfully earned a remand, after which the admissions office reversed their decision and granted her admission to practice law in Georgia. While waiting for her license, Harriet volunteered with the legal assistance office at Fort Benning, assisting soldiers with their wills and other estate matters. She also volunteered at an immigration clinic in a nearby town. Harriet intends to use her platform to advocate for increased military spouse employment opportunities. Once upon a time, she competed in Miss Louisiana USA! Crystal Cornwall: Crystal is a Marine Corps spouse, mom to three kids, and an aspiring law school student. She has volunteered as a key caller, a family readiness assistant, and as a Court Appointed Special Advocate. Since June 2017, she has dedicated herself to advocating for the ongoing economic, health, and safety of families living in military housing. Crystal intends to use her platform to continue pushing for solutions regarding the housing issues plaguing military families. She plans to start a non-profit to champion military housing issues through research and advocacy. Crystal is living at her fourth duty station and will be geobaching later this year because of her current job and the prospect of law school. Since 2008, the Military Spouse of the Year program has celebrated exceptional members of our amazing military spouse community. Nominations are accepted from the public and the winner is chosen through online voting and a judges’ panel. The first of three voting rounds occurs over just a few days in February. Voting culminates with the announcement of the Military Spouse of the Year at an awards luncheon in D.C. in the spring. The first round of voting ends on February 12th, so don’t wait. Vote now to support a MSJDN member!